Newport Beach’s top seafood restaurants and markets serve up sustainable ocean-to-plate fare—some caught with their own fishing boats. While the ocean offers a place to catch some waves and a backdrop for sunset dinners on Newport’s coast, it’s also a source for what’s often on those dinner plates. In fact, the city is home to a number of hard-working people who operate seafood markets and restaurants that offer fresh and sustainable seafood—healthy menu options that also help to maintain the ocean’s fish populations. 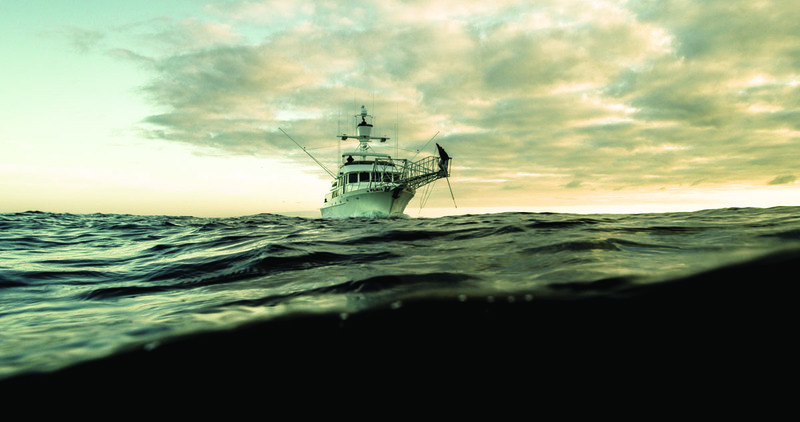 Here, we reel in the tales behind some of those fish and their path from sea to table. 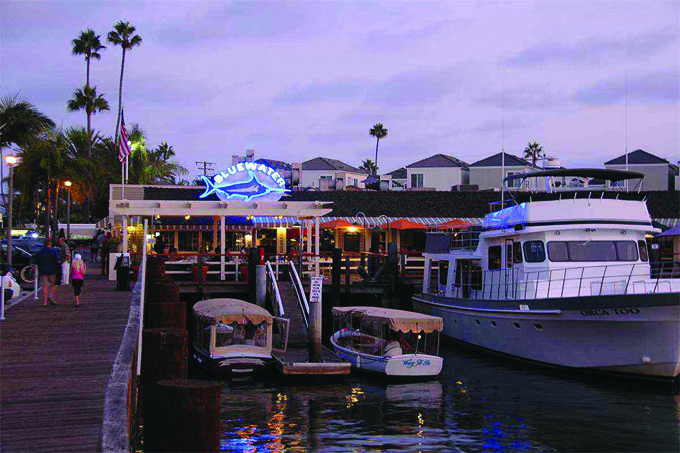 Bluewater Grill, the waterside restaurant in Newport Beach. It’s possible to get seafood that’s fresher than what’s available at Newport Beach’s seafood markets: Jump into the ocean, wrangle a fish and enjoy your sushi. But more rational folks from throughout SoCal visit the Newport Beach Dory Fishing Fleet Market and Pearson’s Port to shop for a variety of fish and other nautical critters hauled out of the water mere hours—sometimes minutes—earlier. The Newport Beach Dory Fishing Fleet began in 1891, when fishermen began offering their fish to local residents. Located just north of the Newport Beach Pier, the market offers everything from spider crab and sablefish to sculpin and sea trout. Like all fresh-fish markets and restaurants, what’s available depends on the season, and what can be caught. One Dory Fleet vendor, Pierre Charest, owns Santa Barbara Seafoods. 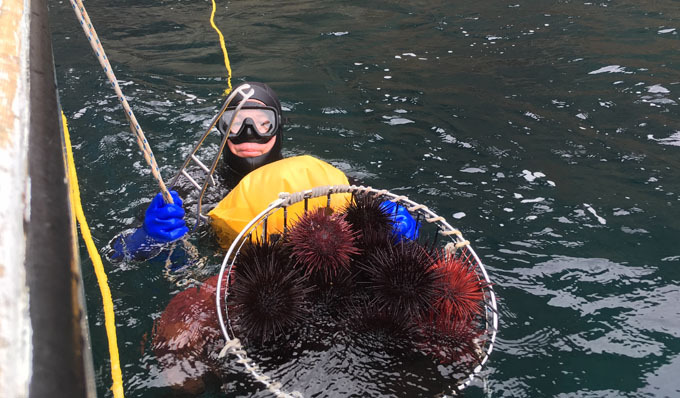 Charest has been diving for and selling sea urchins, limpets, turban snails and sea cucumbers for 33 years. 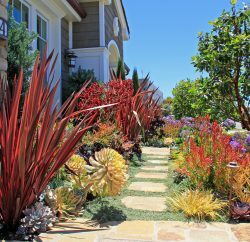 “I sell to wholesalers up the coast, but Newport Beach is a great retail location,” Charest says. “Everything here is right out of the water.” All of his catches are sold live, hauled from the dock to Newport Beach. 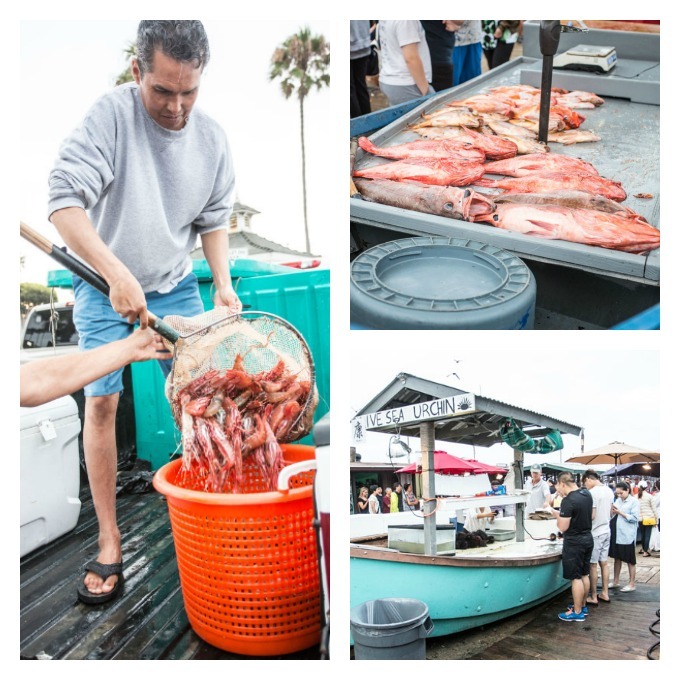 Other Dory Fleet vendors include the Voyatzis Fishing Fleet, “Crabby Steve” Escobar, Giacomo D’Amato Seafood, and West Caught Fish Co., all of which offer an assortment of freshly caught fish and other delicacies from the sea. The market has endured for more than a century and continues as a cherished tradition in town. “I hope the Dory Fleet stays here in Newport Beach forever, for many generations to come,” says Marcos Voyatzis of Voyatzis Fishing Co.
Another local mainstay, Pearson’s Port, has been in business for nearly 50 years. 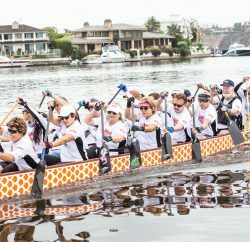 It’s run out of a funky floating barge situated at the end of a small dock where the waters of Newport Harbor and the Back Bay mingle together. Three generations of friendly, community-minded Pearsons have offered a sustainable smorgasbord of live, freshly caught seafood. Live shrimp and lobster are on display in holding tanks and, depending on the season, visitors can purchase swordfish, octopus, squid, crab, halibut and more. Quality remains the top priority at Pearson’s Port. “We’d be mortified if anyone got anything from us that wasn’t completely fresh and top-notch,” Pearson says. If the fish on your plate isn’t coming from Dory Fleet or Pearson’s, rest assured that any restaurant with its own boat must also be serving the freshest ocean fare available. Three such eateries in Newport Beach do just that. 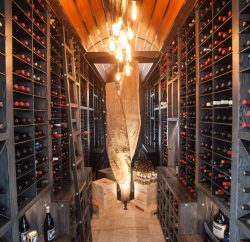 Since Bluewater Grill operates its own swordfish harpoon boat, the Pilikia, it’s no surprise that the eatery is best known for, well, its world-class swordfish, which typically weigh between 200 to 400 pounds. “We carry our catch straight from the dock right through our front door,” says co-owner Jimmy “Jim U” Ulcickas. Alongside Breneman, Thos Carson is the other co-owner of Circle Hook and his boat, Bearflag II, also provides fish for the eatery. Carson’s love of the ocean began when he first cast his line into the water. Through the years, Carson worked aboard ships as a scrubber, deckhand, chef, second captain and, eventually, captain. His father, a steel fabricator, designed and constructed a fishing vessel of their own, the Bear Flag, which today runs from the Channel Islands to Mexico. 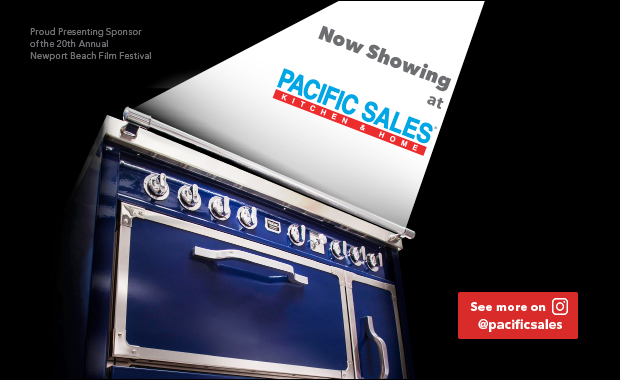 Eventually, Carson started Bear Flag Fish Co. in 2007. The restaurant continually stresses freshness and sustainability: While serving up a tasty variety of seafood, Carson and his team work to ensure that the ocean will continue to provide future generations with plenty of sea life. Dory Fishing Fleet Market preparing the day’s catch for sale. While the vast majority of seafood restaurants don’t operate their own vessel, the finest are careful to buy only the freshest, most sustainable fish. Newport Beach is home to several that serve Pacific-to-plate cuisine that is sourced from local fish markets and top-quality market-fresh distributors. Executive Chef Andy Arndt is very clear about what he and his staff choose to serve at the Hook & Spear, located at Newport Beach Marriott Hotel & Spa: “If our fish isn’t sustainable, we won’t serve it.” He eschews any ocean dweller found on Seafood Watch’s red list, which specifies the fish with stressed populations that need to recover. As such, Hook & Spear no longer serves tuna, among other at-risk species. The same philosophy can be found over at The Cannery, which serves only wild, line-caught fish. Notably, The Cannery, like the Dory Fleet, is deeply rooted in local history. It began in 1921, when a fish cannery was built at the Rhine Channel, then and now a center of commercial fishing activity. It closed down in 1966 and reopened seven years later as a rustic waterfront restaurant. Seafood naturally dominates The Cannery’s menu: In addition to fish, top selections include oysters, grilled Hawaiian prawns, diver scallops, local fish tacos, octopus ceviche and fried calamari. While it may help to have your own harpoon boat, you and yours can enjoy this tasty entree after visiting a local fish market. Preheat a large saute pan (or two smaller pans). Place blackening spices on a plate and coat fish on both sides, then place oil in the pan and saute fish on each side for approximately 3 minutes per side or until dark and cooked through. 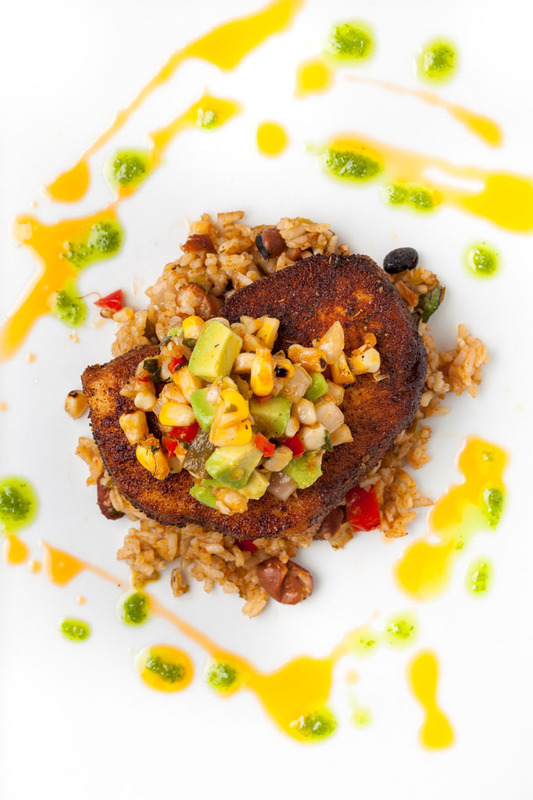 To plate, spoon rice on a dish and top with cooked swordfish followed by the corn and avocado relish. Garnish with chive and tomato oil. Put all ingredients into a large pot and bring to a boil. Turn heat to low and let cook for 15 minutes or until liquid is absorbed. Remove from heat and let rice cool completely. In a sauce pot, add the butter, bell peppers and red onion and cook on medium heat for 7 minutes or until the vegetables are soft. Add in all of the spices and cilantro, then mix together. Let the mixture completely cool in the refrigerator, then add this mixture to the rice.